In the ancient and mystical land of Muirwood, Lia has known only a life of servitude. Labeled a "wretched," an outcast unwanted and unworthy of respect, Lia is forbidden to realize her dream to read or write. All but doomed, her days are spent toiling away as a kitchen slave under the charge of the Aldermaston, the Abbey's watchful overseer. But when an injured squire named Colvin is abandoned at the kitchen's doorstep, an opportunity arises. The nefarious Sheriff Almaguer soon starts a manhunt for Colvin, and Lia conspires to hide Colvin and change her fate. In the midst of a land torn by a treacherous war between a ruthless king and a rebel army, Lia finds herself on an ominous journey that will push her to wonder if her own hidden magic is enough to set things right. 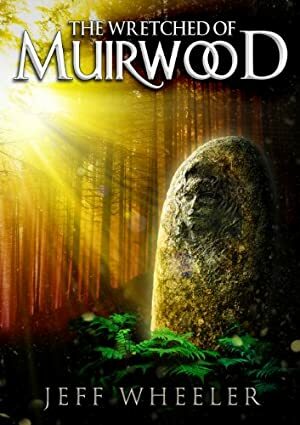 At once captivating, mysterious, and magic-infused, The Wretched of Muirwood takes the classic fantasy adventure and paints it with a story instantly epic, and yet, all its own. We started tracking this book on February 11, 2013. The price of this book has changed 35 times in the past 2,264 days. The current price of this book is £1.00 last checked 7 hours ago. The lowest price to date was £0.99 last reached on May 16, 2018. This book has been £0.99 11 times since we started tracking it. The highest price to date was £6.17 last reached on September 4, 2014. We last verified the price of this book about 7 hours ago. At that time, the price was £1.00. This price is subject to change. The price displayed on the Amazon.co.uk website at the time of purchase is the price you will pay for this book. Please confirm the price before making any purchases.